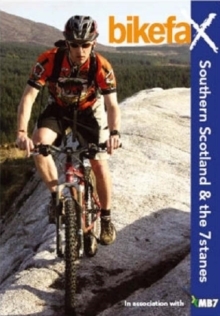 This is a mountain bike trails guide for southern Scotland. From the award winning MTB guidebook company Bikefax, now comes a selection of the best mountain bike trails in Southern Scotland, including route information for the extremely popular 7stanes mountain bike centres. 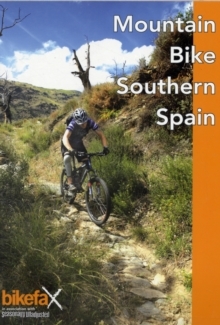 This tightly packed guidebook manages to cram in the beta for over 50 mountain bike rides in the region, with full route guides, trail maps and inspirational full colour photographs. If you think you've done every trail in the area, then this guide will force you to think again. Awarded 'Global Superstar' status for the sheer quality of its mountain biking trails, the South of Scotland is a hot destination for mountain bike riders from all over the UK and Ireland. Bikefax - "Southern Scotland and the 7stanes" is divided into five regions: The Pentlands Hills; Peebles and the Tweed Valley; Dumfries; Galloway; the MB7 Coast to Coast, and has plenty to offer both the enthusiastic visitor and the seasoned local alike. Each area provides a selection of trails, from technical purpose built courses to epic crossings and even multi day routes. As is usual in the Bikefax guides, there is something here for everyone. Choose from gentle introductory rides or go straight into the some of the hardest riding on earth. Pages: 176 pages, col. Illustrations, col. maps, col. ports.